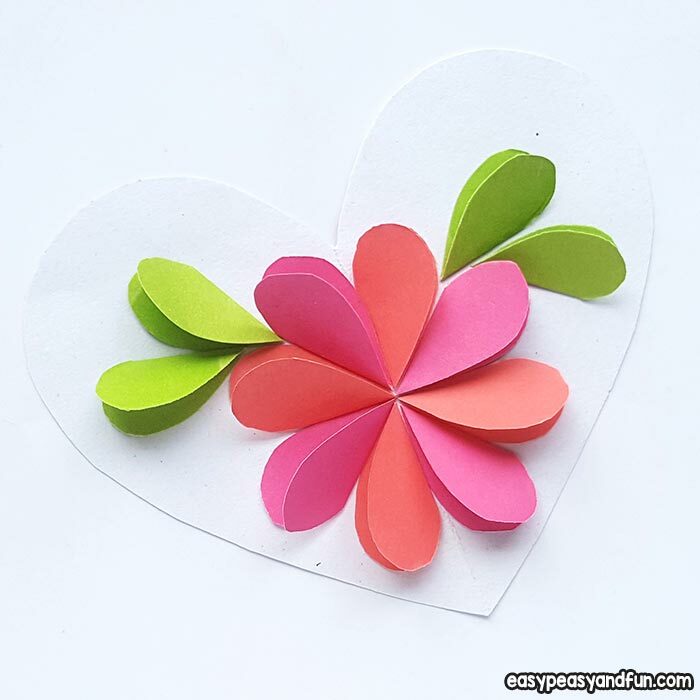 Did you know you can make a cool looking flower from hearts? 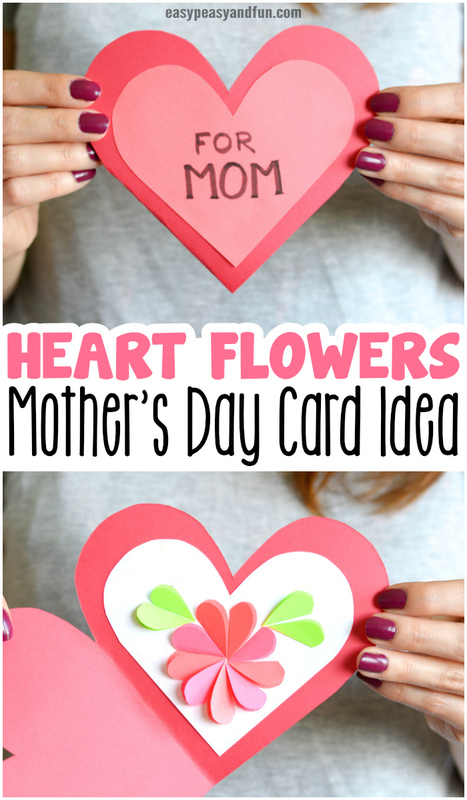 This heart flowers Mothers day card is all about spreading love, as it’s made entirely out of hearts. 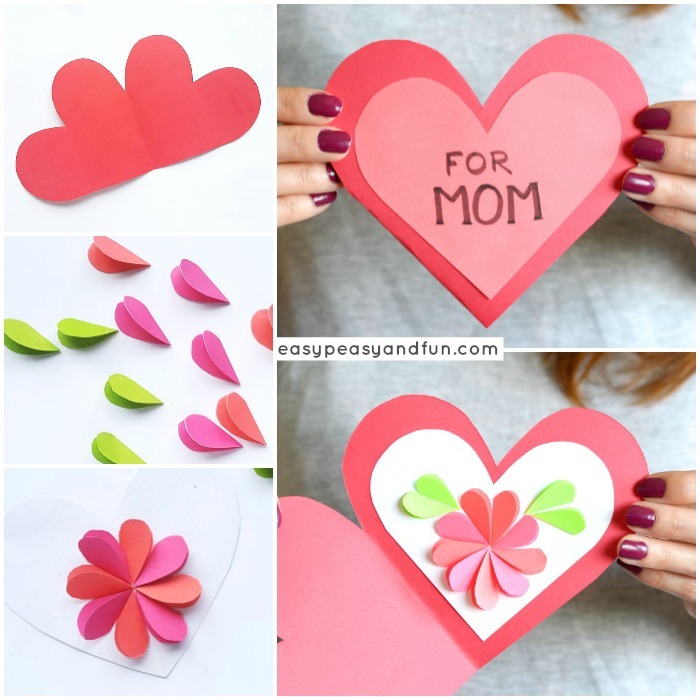 Such a fun little paper craft to make with the kids for Mother’s day. 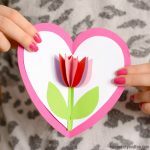 Our tulip in a heart card has been a huge hit both for Mother’s day and Valentines day! 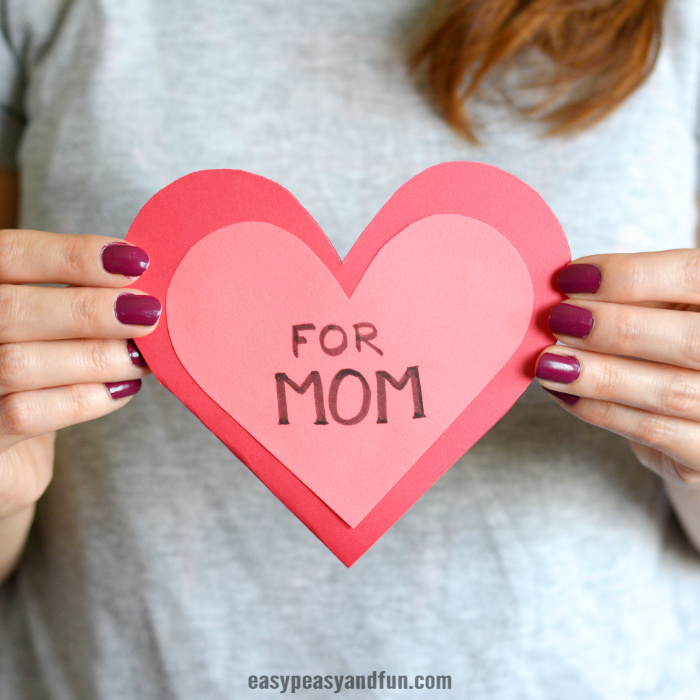 We are taking it a step further and adding even more hearts, well all hearts, to make a really memorable Mother’s day card! 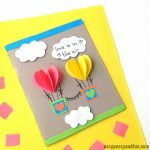 There is a template included for this one (you can grab it at the end of the tutorial), but it can easily be done without it too. Print out the template. Prepare your color papers for the craft. 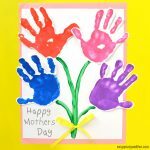 Cut out the parts of the template and trace them on colored paper. 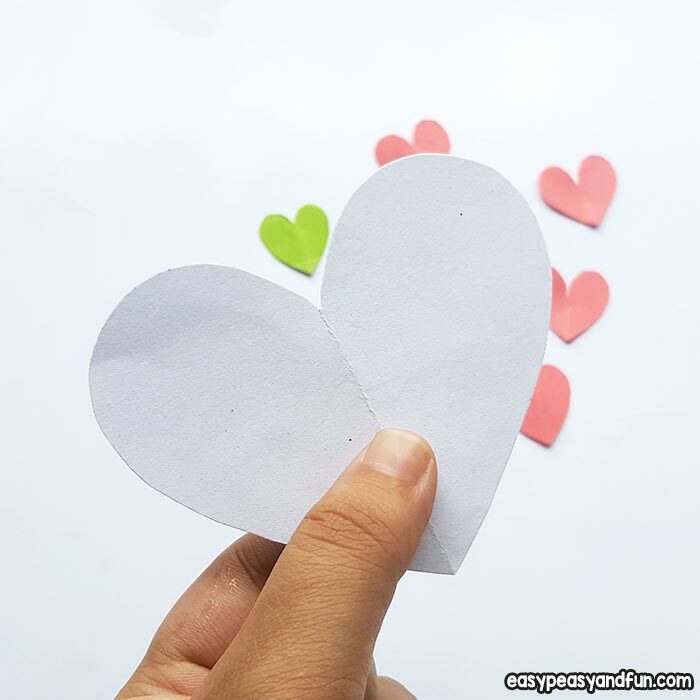 We’ll start with the largest heart that will be used as the base of the heart. 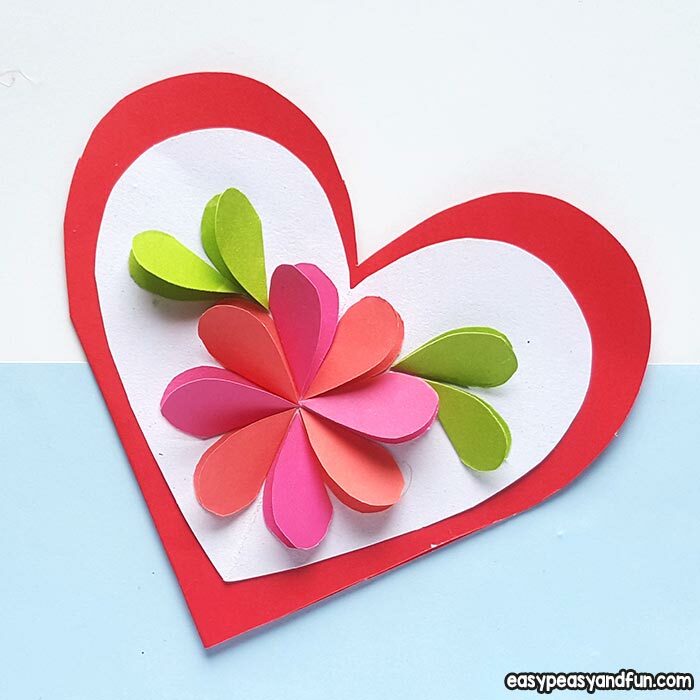 Fold the selected paper in half and trace the heart shape next to the fold (one side of heart aligned with the fold). 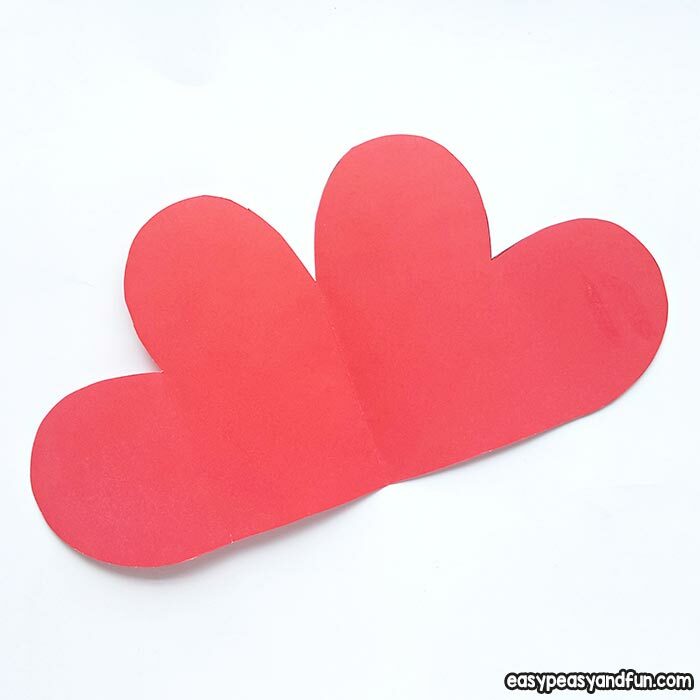 Cut out the heart card. 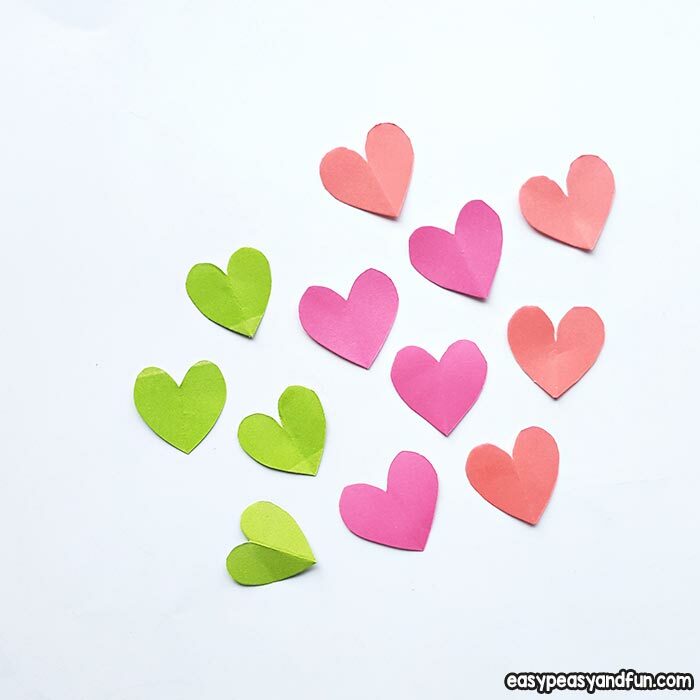 Trace and cut small hearts. 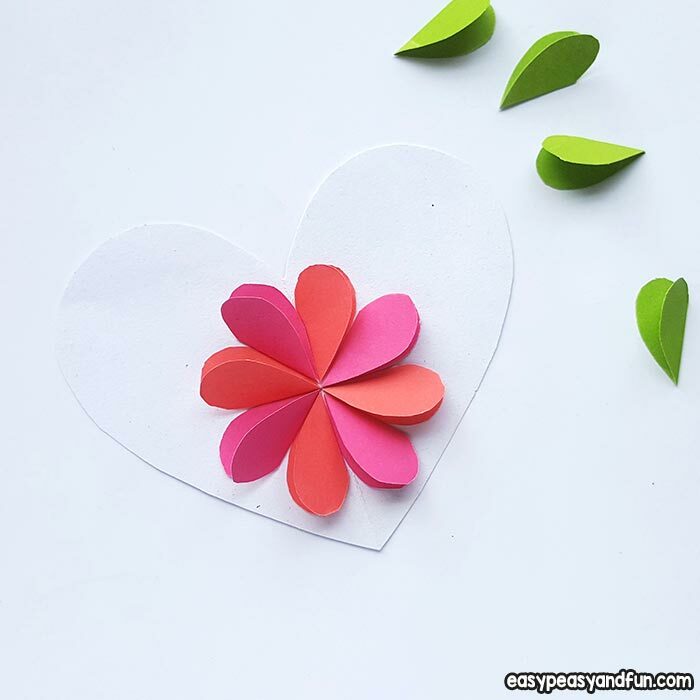 You will need about 8 for the flowers and 4 green ones for the leaves. 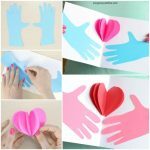 Fold them in half. 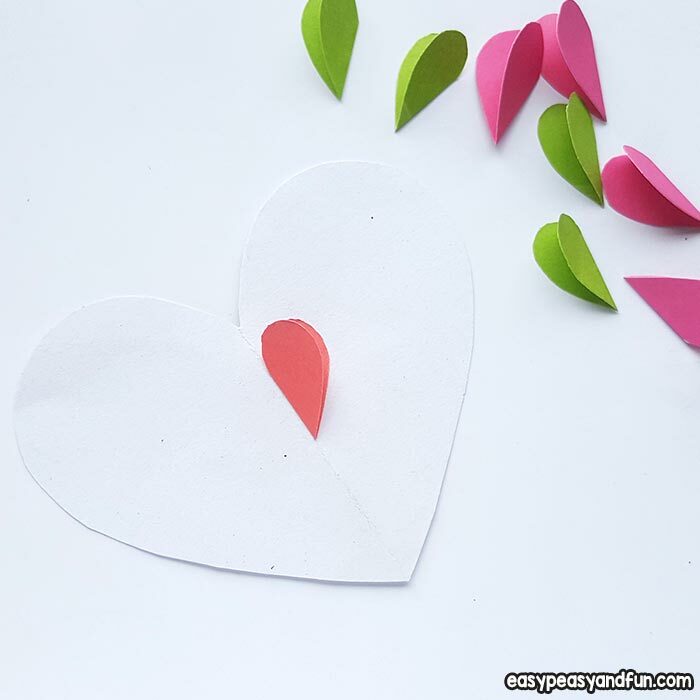 Trace the smaller of the larger hearts onto bright paper and cut it out. Fold in half to mark the middle and unfold. 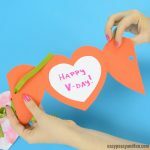 Glue the first folded heart half onto the brighter color heart, along the fold. 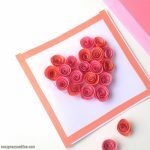 Continue with other hearts, glue them into a circle. 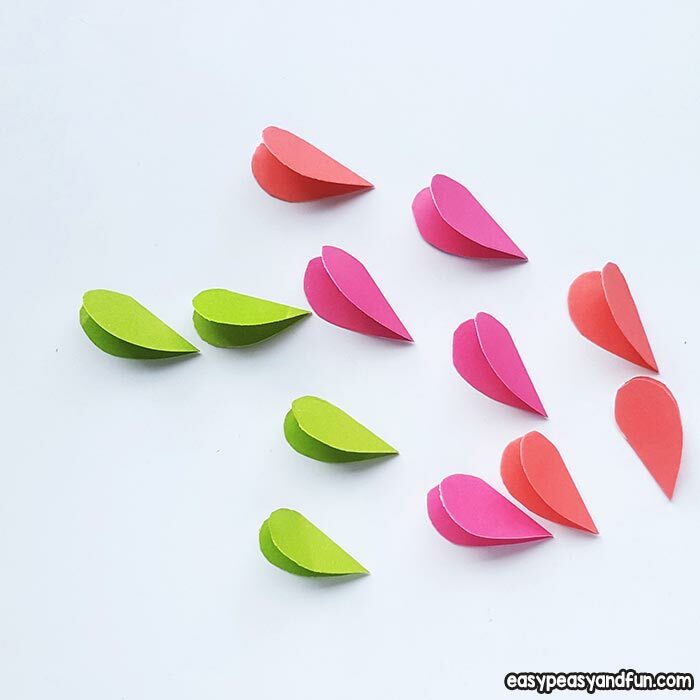 You can also add the leaves. You are almost done! 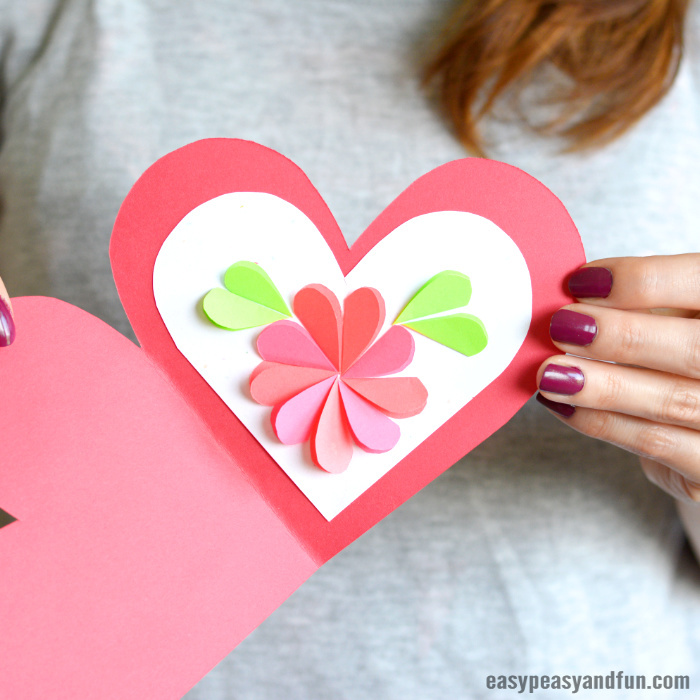 All that there is left to do is to glue the heart with the flower inside the heart card. And well add a personal message!